What a flash! Cart2Cart cannot wait to share the fantastic news with you! Ready? 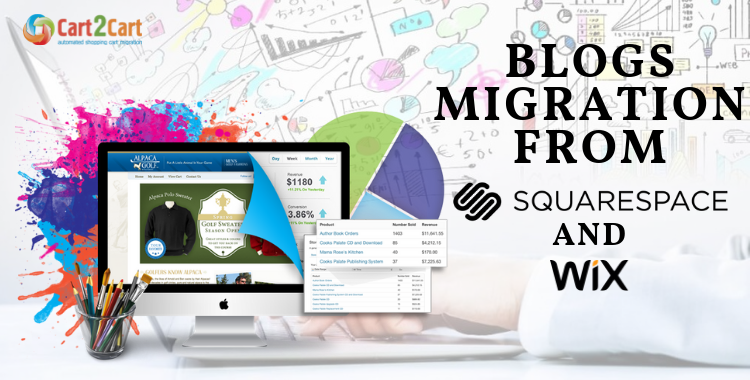 From now and on our service supports blog posts migration from WIX and Squarespace. Your waiting is over; now you can transfer all articles to the brand-new eStore seamlessly, quickly and effectively. But how are you - online shop owner - affected? When in doubt, be clear: it changes everything. It’s widely known, that blogging becomes one of the best, most essential and lowest-cost tools to generate traffic, increase coverage and attract new customers to your website. But when it comes to eStore migration, you’ll definitely face the challenge of how to save all the posts you’ve already published on the blog. Not a problem! Cart2Cart is your reliable partner and a magic wand in that case. eCommerce store owners realise the value of marketing and developing a strong web presence. It’s a perfect way to promote new products and services while building your brand. Multiple blogs can also provide you with a lot of room for creativity. You can go many different routes with your posts, with varying types of content, storytelling, and distribution tactics to make your blog beneficial to your business. Your customers will be pleased to look through useful articles and valuable information you offer on the webpage. Besides, such content can affect your target audience dramatically. Merely publishing a few posts a month, after all, isn't enough to regularly bring traffic to your site. You need to re-platform your blog to get to that point. Taking into account all these factors, there are no doubts concerning the importance of blogs and posts migration! Give this new option a try, start Free Demo and enjoy the benefits! Happy migration!